Select the Use Microsoft volume shadow copy (VSS) check box to enable backup of files with the help if Microsoft shadow volume copies. This option enables backup of files locked by application and provides file-level quiescence. This possibility can only be applied for files from servers running under Windows Server 2003 or later Windows-family OSs. 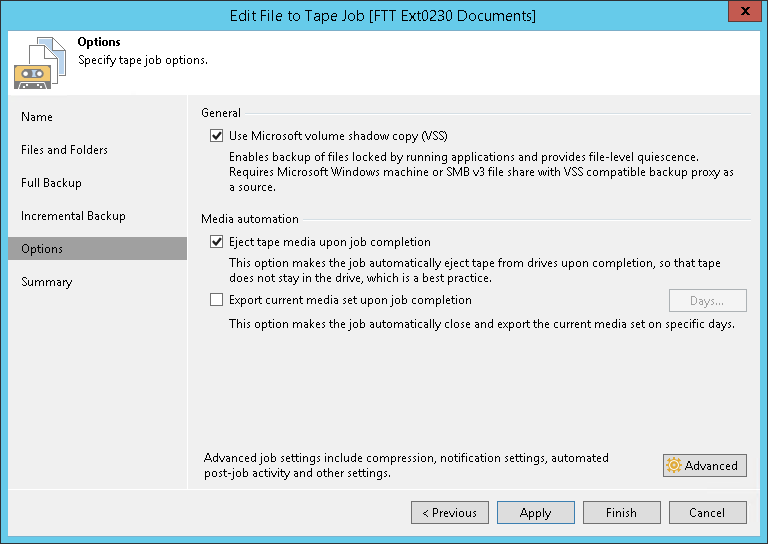 Select the Eject media upon job completion check box if the tape should be automatically ejected from the tape drive and placed into a slot when the job finishes.